Why are we seeing this REAL SAD DAD?.. Are they in an emotional crisis, or maybe financial shortage is the reason, or did a breakfast toast go the wrong way? REAL SAD DAD is a serene experience packed with action and humanity. Made for A Game By Its Cover 2018. Inspired by cover 138 a.k.a. 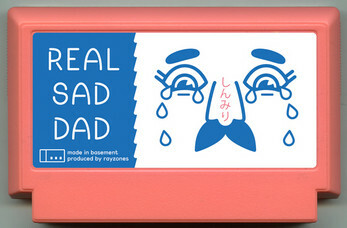 REAL SAD DAD. Dad needs to negotiate working from home maybe. This is pretty effective considering how little it is. The repetition is like a picture book. The kind dad didn't get to read to his kids. Withholding dessert is the first step towards the fall of capitalism. I didn't think of it that way, but it's really sad anyway.